“Community participation” is salient in descriptions of government and non-government programs intended to somehow affect the lives of people. Despite common use of the term, there is little real discussion and debate in institutions and their corresponding populations to arrive at working definitions. As programs progress and undergo phases of evaluation, differing meanings of the concept become apparent that highlight presumptions, expectations and ambiguities surrounding the term. CSW, whose pricipal objective is to strengthen civic organizations’ capacities to realize specified aims, investigated the applications of “community participation” in a sample of NGOs. Research results provide evidence for improved ways to articulate citizen action with proposed programs. A.B. Coe, Ms. Scaife carried out in-depth research with Peruvian-based NGOs to explore how current projects and programs operationalize the concept of “community participation.” She gathered data on the abilities required, training needs of staff to meet proposed objectives, and how community participation is measured, monitored and guaranteed sustainability when projects end. Once Ms. Scaife completed the transcription, ordering and summarizing of her research findings, CSW presented results back to research participants in Lima, to allow for open discussion and critical feedback. 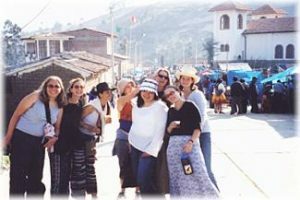 The final conclusions on the meanings and actual manifestations of “community participation” in Peruvian NGO projects were formally presented at the Society for Applied Anthropology annual conference in Portland, Oregon, March 2003.